I’m glad your loved one is in remission, Nicole. I will pray for their continued recovery. It’s shocking just how many people are affected, directly or indirectly, by this terrible disease. I have lost a very close friend and a treasured relative during the past year. It’s sometimes very hard to bear. Thanks Marianne. Yes it is so incredibly scary. 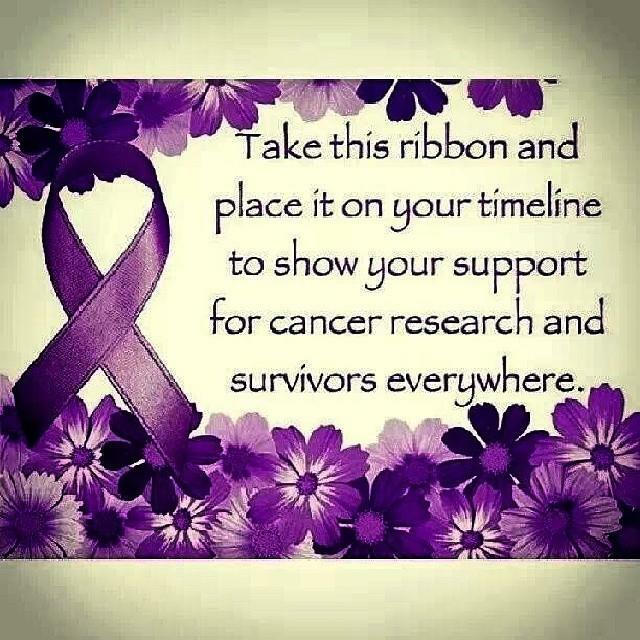 Way too many people I know have suffered from cancer. The last six months have been very very hard. I’m just glad it is in control now as I didn’t know how I’d make it through if things were worse. Hang on in there. I know it’s tough. I just lost a dear friend. She died yesterday from brain cancer and I feel very sad! Oh I am so incredibly sorry. That is terrible to hear. A friend of mine also died of brain cancer right after the birth of her second child. She was only 32 and never got to raise her children. It is a terrible disease and I hope someday they have a cure. Certainly it’s a terrible disease! I’m also sorry to hear about your friend! God bless all the families that have to deal with this..
With the supports from you and friends, your loved one will be stronger to win the cancer flight. Thanks Amy. It has been so incredibly hard. I am very very close to my dad and he is so amazingly fit and healthy. It has been a very hard journey but I’m really glad he is doing better now. I remember seeing his photo you posted that you both hiked on Alps, he looked young and fit. I understand how difficult the journey is, I went through with my father. Be strong, he needs your support. Sending strength and positive energy to you and your loved one. The gift of sharing one’s own challenges in life I believe gives hope and courage to others. Wow, what beautiful words of wisdom. Thank you so much. I hope my words help even if they aren’t always cheery as we all know life is full of ups and downs. Thank you! You are most welcome! I’m cheering in your corner and thankful for your honesty of the ups and downs. All the very best. I remember your getting this news, but, gosh, I’m thrilled to hear, now, about the remission. Thanks for sharing, Nicole. Blessings to you and your family! 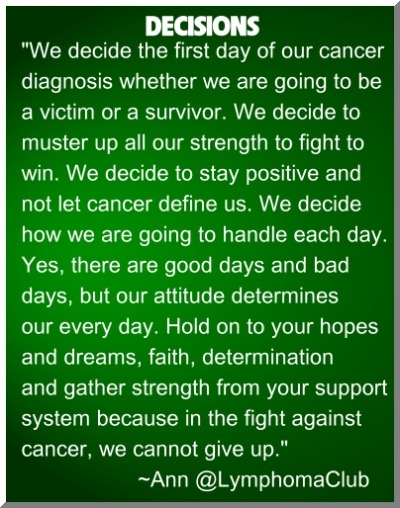 I am so glad to hear that your loved one is in remission Nicole. We all need to remember that every day is a precious gift. I read this this morning, it made me sad to think it might be true. Thanks Jo. I feel like this incredibly dark heavy weight has been lifted off my shoulders. The last six months have been so painful. I know he can get it again as it is never cured but at least I know now we can beat it. You realize how amazing the power of family love can be. I feel so incredibly grateful for what I have. So pleased to hear this news Nicole, as I know first-hand the roller-coaster ride the family, as well as the patient, is on dealing with this insidious disease. Thanks LuAnn. It is a relief but I know it isn’t quite over. It is something that is always there, just not something to dwell upon. Love those words LuAnn. Life is about living each day without worrying about the future or dwelling upon the past! 🙂 Looks like you are enjoying Florida!